This weekend, The Girl in the Spider’s Web comes out in theaters. It marks the first installment of author Stieg Larsson’s best-selling Dragon Tattoo series to be produced into an English-language film in its initial adaptation. 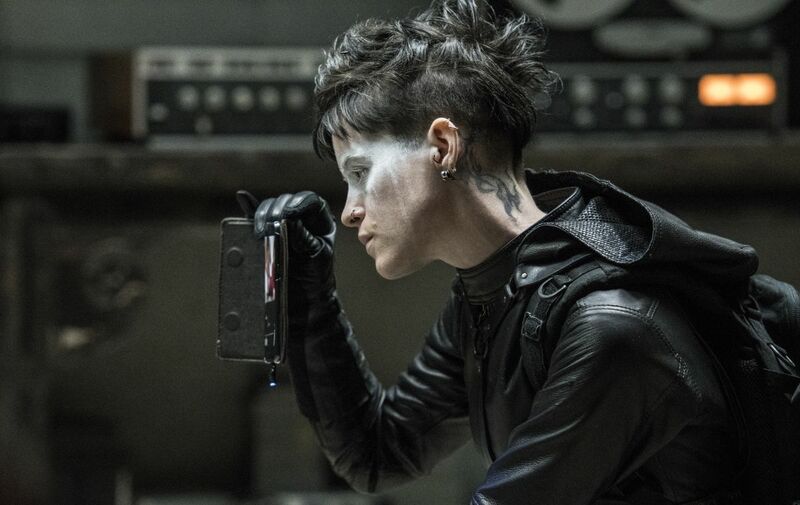 Director Fede Alvarez, who helmed the original horror movie Don’t Breathe as well as the remake of Sam Raimi’s iconic Evil Dead, has added his own take on the dangerous, deadly world that Lisbeth Salander inhabits. Just ahead of the film’s release date, Alvarez spoke with us about what drew him to the project, and what he wanted to bring to the franchise. He speaks at length about the challenges and benefits of bringing his own unique voice to the Dragon Tattoo lexicon, how the Netflix series The Crown led him to cast Claire Foy as the new Lisbeth Salander, and having the courage to use his voice to tell a completely different story while remaining faithful to the source material. 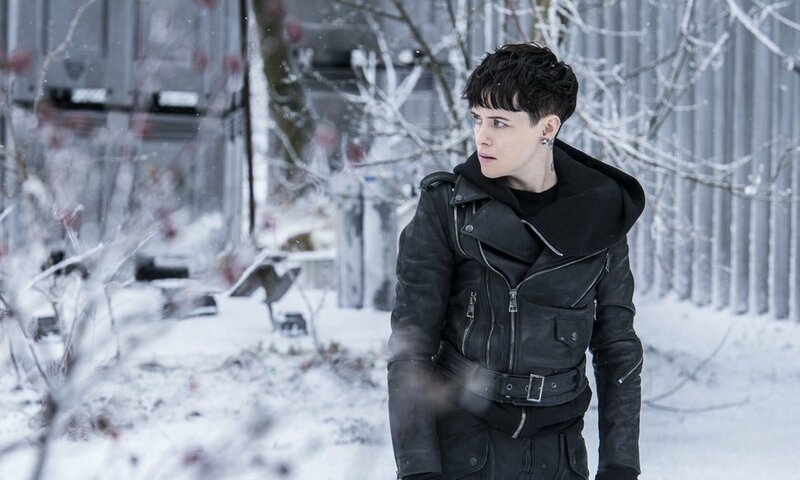 ComingSoon: We’ve seen the character of Lisbeth Salander on screen before, but Claire Foy really takes over the role here and makes it her own. Fede Alvarez: Thank god we get ideas about who she is, [because] it was all about her. It’s really a character that’s very unpredictable and when it comes to storytelling, and that’s the best part, at least for me. That’s why I try to tell stories, that you don’t get exactly where it’s going every minute of the way, and characters like that, the lead, it easily makes for a better story, and it was really her that drew me into it. CS: I know there was a bit of shuffling around with the cast before production got underway. What was it about Claire that made you know things were ready to proceed? FA: When we knew that we were gonna have our new cast and we were going to kind of start from scratch, I knew that I needed an actor that had that gift that not a lot of actors have, which is the ability to, without doing much or saying much, let’s the audience knows exactly what’s going on inside. Because Lisbeth Salander doesn’t just tell you how she feels and doesn’t go into some long exposition detailing you her backstory or anything like that. She keeps to herself, so how do I get the audience to know how she’s feeling? I got it through the craft of an amazing actor. That’s the only way, really. When you’re working with actors that aren’t as good, that’s the hardest part, to get the audience to understand what going on in their life without having to say it out loud. Watching Claire in The Crown, these characters, [despite], how different they are, they have a lot in common. They’re characters that aren’t allowed to express opinions for different reasons. These are characters that need to be, in their performance, kind of one-note most of the time. But Claire, really in that element of The Crown, allowed you every minute to know exactly what’s going on in her mind emotionally. So I knew that I needed an actor of that level to play the part. I went to New York, and I never thought he was gonna do it, and I think she went in also [thinking she] would not do it. CS: Along with Claire Foy’s sort of effortless complexity, there’s a real chemistry between her character and Lakeith Steinfeld’s Edwin Needham. Which is pretty impressive considering they have almost no screen time together. FA: They share the same room, the same frame, only a couple of times. Lakeith is just fantastic. He’s got that sensitivity as an actor. He’s just so good. And it was really interesting to see him exploring this [character] and seeing what he was going to do with it. Obviously, it’s not something he played before. Actually, in that Oliver Stone movie, Snowden, I think he played someone similar. It was just two minutes, and he had a completely different approach, but not this level. It’s refreshing for me to see actors that they really want to try everything. They’re so hungry to try different roles, to look completely different, and to go into a kind of movie they’d never been in before. So there’s something fascinating about seeing him working and collaborating with him. Great guy. Great actor. CS: You’ve shown proficiency at original stories like Don’t Breathe, as well as remakes of beloved franchises like Evil Dead. There’s a very specific look to this movie. High contrast, desaturated to the point it’s almost in black and white, which still fits into the overall Dragon Tattoo aesthetic. What kind of approach did you have while filming? The real reason I think, why hopefully people will recognize that, it’s just because I’ve been allowed to do that. I’ve been very lucky in every movie I made, I was given the creative freedom to write the movie and put it on the screen the way I want it. A lot of directors don’t get that chance, or there’s something in the movie that is way bigger than themselves. So then they become lost, or that have a particular style they have to abide for. And there’s not a lot of movies this size and how so when you allow you to do your thing. Get who you want and have the team that you want and do it on your terms and write it as you see it. Like it’s really, there’s not a lot of chance to do that. But it is the kind of result from having obviously done two movies for Sony that really played well at theaters so they gave me that trust from the studio’s point of view just letting me take this and roam free. CS: Were you concerned with being able to balance own style here, but incorporate a sense of familiarity, especially in regards to a character that audiences are already familiar with? FA: For me, it was a completely different experience. When you do something like this, compared with something like Don’t Breathe, the expectations are completely different. When it comes to the audience receiving the movie, with something like Don’t Breathe, they have nothing. They have no idea what it is, [so] they expect nothing. When do you adapt something, it’s always kind of a double-edged sword. When I did Evil Dead, I decided I was just going to adapt the universe and the world, but I made sure not to have to recast or change characters. In this case, it’s the first time we do that. It’s always a blessing and a curse. It’s like I’m looking at cars. You have the blessing of having a character that has been tested before that, that people have loved in the past, but at the same time have the courage that people that have certain expectations of the film will be disappointed if it’s not exactly what they saw before. A lot of people when they come in, they expect to have exactly the same experience they had in the past and if they don’t, they get disappointed, which is fair. For this film, there’s no point just repeating what someone else did. It’s like trying to capture exactly what experience you had and make it new again. There’s really no point, particularly with something like this. Look, if I was doing Star Wars, it would be a different story, but I think with something like this, the whole point was to do something completely different and in a way that was fair to the evolution that the books had. You know, by the third book, the Nordic noir was replaced by pulp noir. By the fourth one, they really just ride that wave and keep going that pulp noir direction instead of the Orthodox Nordic noir to the first book.